The large amount of data and information that surrounds us today makes necessary an extra training for users, essential to know how to differentiate the information (true and contrasted) from those false news that, increasingly, come to us through our devices or others channels. Bulos or false news (fake news), which have become a problematic upward trend, affecting both institutions, companies and companies as well as the users themselves, with special emphasis on the food sector, and who intend to change or in uence consumer habits in this area. 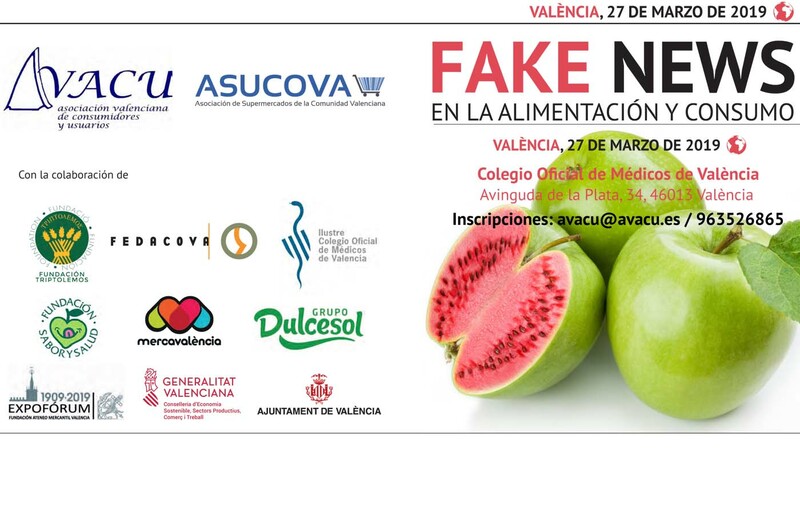 This day organized by AVACU aims to provide the user with the necessary tools to “survive” the flood of information that is received every day and know how to discern, among all of them, the real ones of the false, recovering, at the same time, the trust ( in many cases loss) in the media and claiming transparency. Triptolemos Foundation will participate in the conclusions.